Last June 8, the Electric Power Industry Reform Act (EPIRA) of 2001 or Republic Act (RA) 9136 marked its tenth year of implementation. A day before, utility giant Manila Electric Company (MERALCO) announced that it is again hiking its generation charge by 51 centavos per kilowatt-hour (kWh). The rate hike underscored how EPIRA has harmed consumers with exorbitant electricity rates, which have now become the highest in Asia. Indeed, EPIRA is considered one of the most notorious legacies of the despised Arroyo administration that was even accused of bribing Congress just to get EPIRA passed a decade ago. Credit rating agencies also put pressure on the bankrupt government to pass the EPIRA while investment banks acted as privatization consultants. These institutions represent foreign corporate interests who also pushed for the passage of EPIRA to widen their profit-making opportunities in the Philippines through the privatization and deregulation of the power industry. Therefore, these foreign banks and corporations are as accountable as the Philippine government for the mess created by EPIRA. In fact, the restructuring of the power industry and the role that these creditors played did not begin with Arroyo’s EPIRA in 2001. EPIRA was in reality the culmination of neoliberal power reforms long pushed by multilateral creditors. Initial efforts started in 1987 during the administration of the late President Cory Aquino with her Executive Order (EO) No. 215. This EO allowed private sector participation in the construction and operation of power plants in the country. In 1990, Congress passed RA 6957 or the BOT Law that authorized the financing, construction, operation, and maintenance of infrastructure projects by the private sector. These policies formed part of neoliberal structural adjustment pushed by the IMF and World Bank starting in the 1980s in poor countries facing a debt crisis like the Philippines. Among the stated objectives of structural adjustment was to supposedly reduce government deficit and spending through, among others, the privatization of state assets and functions. The ADB had supported these privatization efforts in the early 1990s through loans and equity investment to independent power producers (IPPs) as well as guarantees for NAPOCOR bonds. Compounding the fiscal woes of government was the deteriorating power situation in the early 1990s, which government responded to with more privatization. In 1993, former President Fidel Ramos was granted emergency powers to enter into negotiated contracts with IPPs for the construction of power plants through the Electric Power Crisis Act or RA 7648. Then in 1994, RA 7718 which amended RA 6957 was enacted to further promote the participation of the private sector in infrastructure development, including power generation. However, the ADB in a 1994 study (as cited in Sharma et. al., “Electricity industry reform in the Philippines,” Energy Policy, 2004) noted that despite these efforts at privatization, the power crisis continued to worsen. It argued that there was a need for further privatization because NAPOCOR, despite ending its monopoly in generation, still retained its monopsony position. Furthermore, domestic capital was considered insufficient to meet the long-term capital requirements of the industry while legal restrictions on foreign ownership were hampering investment. As early as 1994, the ADB, NAPOCOR, Department of Energy (DOE), and Department of Finance (DOF) had already initiated policy dialogue concerning NAPOCOR’s difficulty in funding necessary generation and transmission projects “and the need for a radical change.” By 1996, an Omnibus Power Industry Bill was filed at Congress to privatize NAPOCOR and restructure the industry. The bill did not gain ground but was later re-filed in 1998 as the ADB approved a $300-million loan to fund the Power Sector Restructuring Program (PSRP) that was co-financed by the JBIC with an additional $400 million. EPIRA was the direct product of this $700-million loan from the ADB and JBIC. According to the ADB, the PSRP will create competitive electricity markets, restore NAPOCOR’s financial sustainability, and achieve operational improvements and increased efficiencies. The loan was meant to help finance the adjustment costs of privatization such as the take-or-pay contracts with the IPPs and excess debts upon NAPOCOR’s privatization – or what will be called as stranded debts and stranded contract costs under EPIRA. Aside from the loan, the PSRP was also accompanied by two technical assistance (TA) grants from the ADB worth $1.32 million for a study on electricity pricing and regulatory practice as well as a consumer impact assessment. The PSRP was part of a standby arrangement in 1998 between the Philippines and ADB, World Bank, and IMF. The World Bank’s commitment to the standby arrangement was a fast disbursing loan package of $500 million while the IMF standby facility was worth $280 million. Under the standby arrangement, the Philippine government committed to implement among others further fiscal reforms, financial sector and structural reforms, and strengthening the corporate sector, which included as a critical component power sector restructuring. Access to the PSRP was structured in a manner that ensured strict compliance to a total of 61 specific conditionalities identified by the ADB in the loan program. These conditionalities were jointly designed by the ADB, World Bank, and JBIC. The $300-million ADB loan was divided into three equal tranches with the first tranche released upon loan effectiveness and compliance to 13 conditionalities while the second tranche was targeted for release in 1999 upon compliance to an additional 8 conditionalities (including the approval of creditor banks of NAPOCOR’s restructuring and privatization plan and passage of EPIRA), while the third tranche was targeted for release in the second half of 2000 upon compliance to a further 7 conditionalities (including the promulgation of EPIRA’s implementing rules and regulations). The rest of the conditionalities were expected to be complied with during the implementation of the program. However, the passage of EPIRA was delayed and the ADB conditionalities were not met on time. Consequently, the second and third tranches of the PSRP were withheld by the ADB until the conditionalities were implemented by the Philippine government. The second tranche was released in December 2001 and the last tranche in November 2002.
Credit Suisse, which government tapped to develop a privatization plan for NAPOCOR, also pushed for cross-ownership in generation and distribution in contrast to the then power reform bill that banned all forms of cross-ownership. [“Legislator says Napocor sale consultant exceeded mandate,” BusinessWorld, August 18, 2000] The unbundling of rates supposedly for transparency as well as the dismantling of all forms of subsidy “as rapidly as possible” because “they send incorrect pricing signals in a free market and create economic inefficiencies” were also among the specific provisions in the EPIRA pushed by the Credit Suisse group. These creditors continue to fund the restructuring of the power sector even after the passage of EPIRA. The ADB, for instance, approved in December 2002 a partial credit guarantee (PCG) of up to $500 million equivalent in Japanese yen bonds to “help meet the cash flow requirements during the initial stage of privatization.” Specifically, the PCG was used to guarantee the bond issuance of the newly created Power Sector Assets and Liabilities Management Corporation (PSALM). EPIRA established the PSALM to oversee the privatization of NAPOCOR. Also in December 2002, the ADB approved a $45-million loan for the establishment of the wholesale electricity spot market (WESM) and upgrading of critical transmission lines and substations, including a TA worth $0.8 million. JBIC co-financed the project with $45.5 million. It was followed by another TA from the ADB in 2004 worth more than $1 million to boost the confidence of private investors in the EPIRA by enhancing the efficiency of the Energy Regulatory Commission (ERC) and provide financial and technical advice to PSALM for privatization of the NAPOCOR. 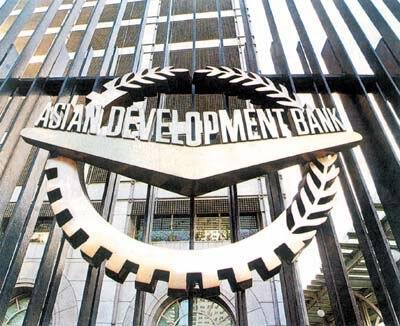 So far, the largest power reform loan from the ADB after EPIRA’s enactment was the $450-million Power Sector Development Program (PSDP) approved in December 2006. In its August 2010 Completion Report, the multilateral agency said that the “ADB developed the PSDP to deal with the largest sources of the fiscal imbalance in the public sector caused by losses among the public power agencies. The PSDP was seen to reduce the losses at the (NAPOCOR) and make the (PSALM) more creditworthy, and to create the necessary conditions for the privatization of major power sector assets.” In February 2007, JBIC provided co-financing for the PSDP worth $300 million bringing the total debt to $750 million. PSDP’s specific objectives were (1) provide financial assistance to the government, through a program loan, to help meet part of the costs of power sector restructuring; (2) create the necessary conditions for substantial progress in privatization; (3) boost confidence in regulatory performance; and (4) smooth the transition to competitive markets. Part of the first objective is to help the national government finance the P200 billion in NAPOCOR debts that it absorbed under the EPIRA. In other words, government is servicing the debts of the state-owned corporation through additional debts. Aside from bankrolling the implementation of EPIRA, the ADB also provided loans to private corporations involved in key privatization projects. In 2007, for example, it extended a $200-million loan to the Masinloc Power Partners Company Limited (MPPC), owned by the US-based AES Corporation, for the acquisition and rehabilitation of the Masinloc coal-fired thermal power plant. The 600-MW Masinloc plant was one of the largest privatized NAPOCOR-owned power plants. Incidentally, the ADB also provided $359 million in loans and Y12 billion in partial credit guarantee to NAPOCOR to build the Masinloc plant in the 1990s. Meanwhile, Filipino taxpayers are not only burdened by the debts that bankrolled EPIRA. We are also oppressed by exorbitant power rates, energy insecurity, etc. that resulted from the neoliberal restructuring of the industry imposed on us by foreign institutions. ← 10 years of EPIRA: what went wrong? The only way to free all of us from this tyranny is to start decentralizing electricity and release all free-energy generator technologies for every human being. Electricity was designed to be free and not commercialized. We are already swimming in an ocean of energy.